Coinbase is one of the largest US based Bitcoin payment processors. They handle Bitcoin payments for over 35,000 companies including Dell, Expedia, and DISH Satellite TV. Currently, they’re not charging any fees on the first $1,000,000 in sales that you bring in. After a million bucks in sales, they’ll charge %1 fee per payment. To get started, you’ll need to sign up for an account. After you’ve signed up and verified your email address, you’ll need to link a bank account and verify a phone number. To verify a phone number, go to Settings > Phone Numbers on the Coinbase interface and click Verify A Phone. You’ll be prompted to enter a phone number. 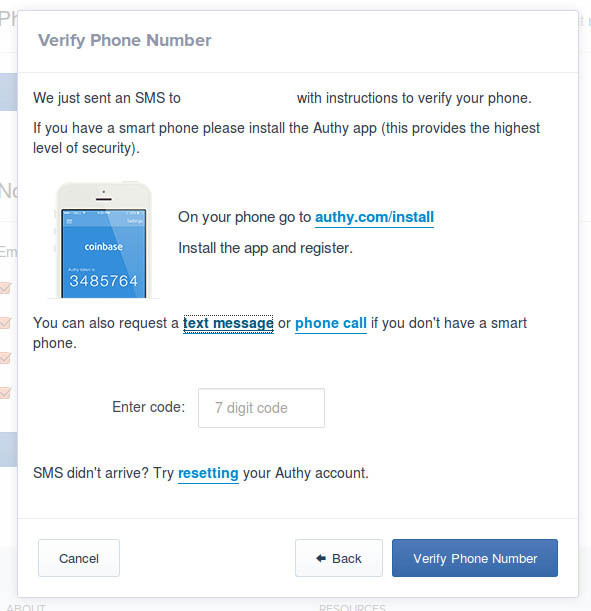 If it’s a mobile phone, you’ll be sent a text message encouraging you to install and register the Authy mobile app, that will in turn generate a 7 digit code that you can then enter to verify your phone number. If you don’t have a smartphone, or just prefer not to install another app, you can opt to receive a text message or phone call with a 7 digit code instead. To do this, just click one of the links in the “You can also request a text message or phone call if you don’t have a smart phone.” sentence. Once you receive the code, enter it into the box and click Verify Phone Number. 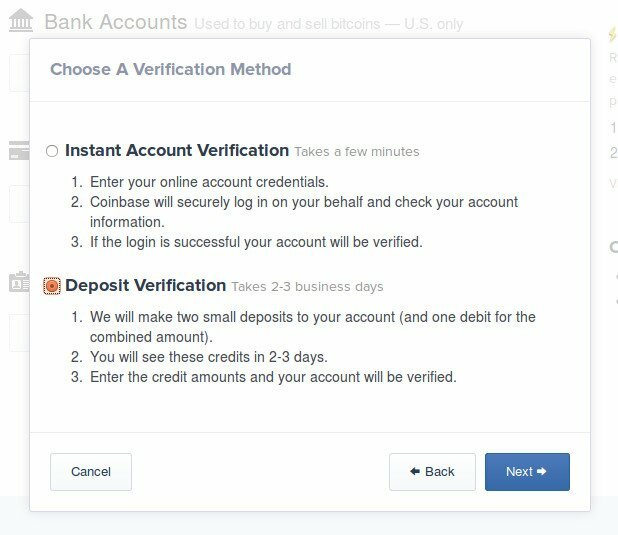 With the Instant Account Verification method, you’ll need to provide your online banking username and password so that Coinbase can log in on your behalf and verify your account information. This process only takes a few minutes, and Coinbase promises to protect your credentials by permanently deleting your username and password from their logs after the verification process is complete. Personally, I’d go with the Deposit Verification method because it’s a poor security practice to share your username and password with anyone else. 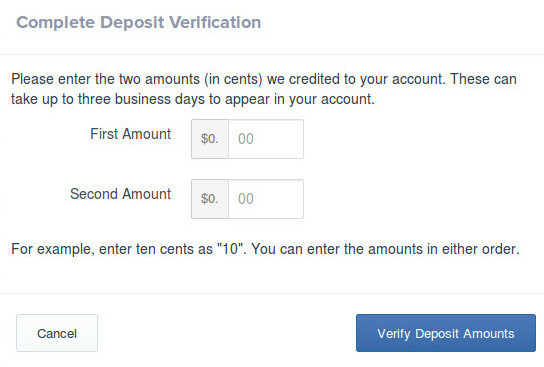 If you do choose to use the Instant Account Verification method, I’d recommend changing your online banking password once the Coinbase verification process has completed. Check the Instant Exchange checkbox, uncheck the Maintain a minimum balance in BTC when exchanging checkbox, and click Save Changes. The Instant Exchange setting can’t be enabled until your bank account has been verified.